Hurricane Maria has slammed into Puerto Rico, pounding the Caribbean island with near 250 kilometre winds. 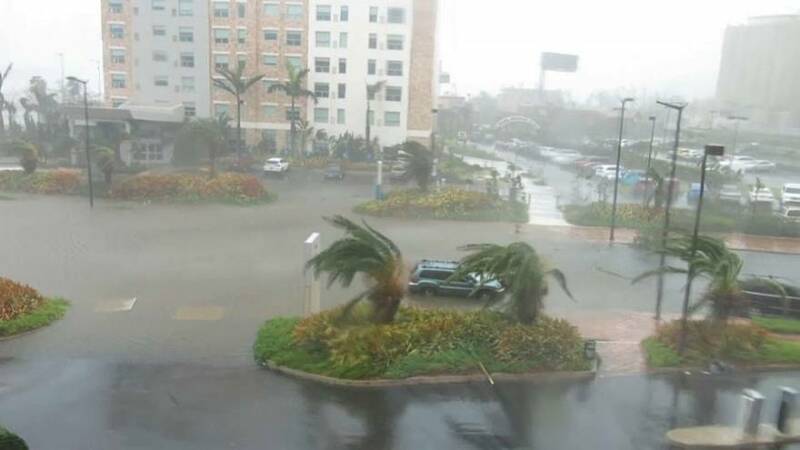 The dangerously powerful storm, the strongest to hit the US territory in almost 90 years, measured just shy of a devastating Category 5 when it made landfall early on Wednesday. Puerto Rico is the latest target for Maria as the hurricane continues to wheel west, having already ploughed into Guadeloupe, Dominica and the US Virgin islands. Along with powerful sea surges record flooding is predicted with the storm expected to dump nearly 70cms of rain in parts. torn off pieces of metal barricades clattering along streets. Thousands of Puerto Ricans sought shelter with forecasts predicting a “potentially catastrophic” direct hit. Maria is the second major storm to hit the Caribbean this month following Irma, one of the most powerful hurricane’s ever recorded in the Atlantic.